Jona from Mount Juliet, Richard from Alma & 242 others bought this item recently. 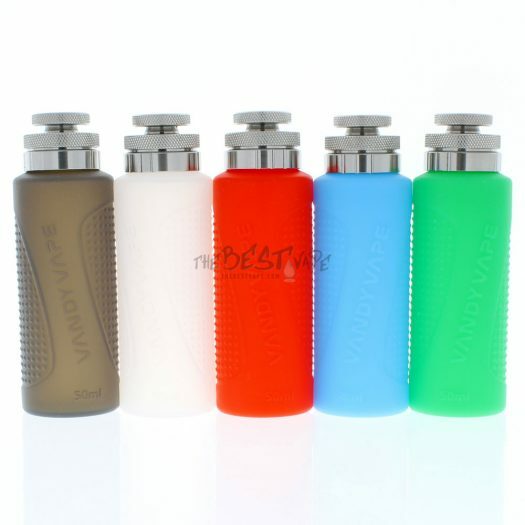 These Vandy Vape Refill Bottles are the perfect accessory to any Squonk Device, but mainly for the Pulse BF Box Mod & Pulse BF Kit. This makes refilling a breeze. No more spilling and making a mess each and every time you have to refill your Bottle. 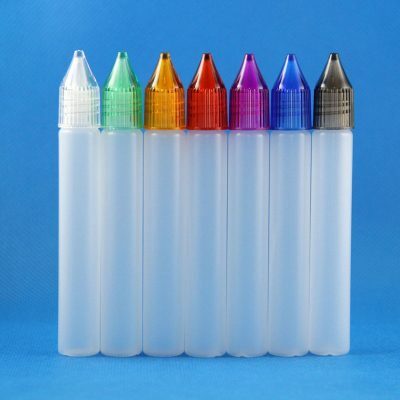 These Refill Bottles come in 2 sizes, 30ml & 50ml. They are lightweight, easy to carry, & should be very travel friendly. The Caps are knurled so it makes twisting on and off easy. These Bottles are made out of Food Grade Silicone & are Environmentally Friendly. 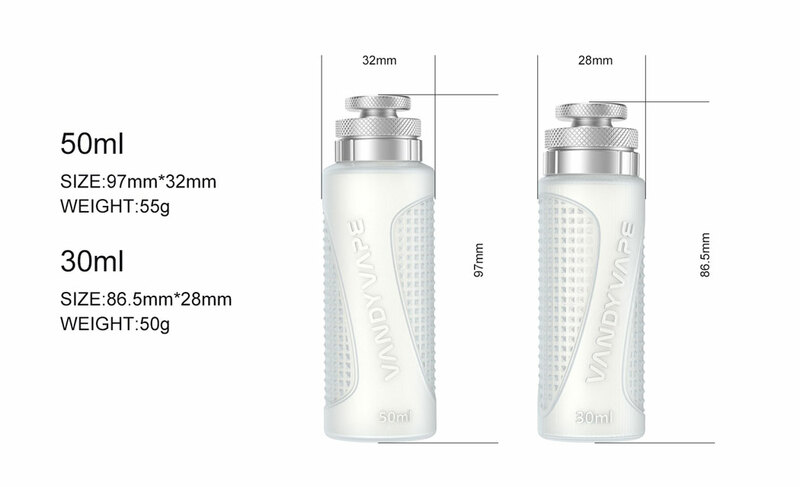 The 30ml Bottle measures 86.5mm x 28mm & the 50ml measures 97mm x 32mm. For those of you who Squonk on a daily basis, you know the pain that comes with having to refill your Squonk Bottle regularly. You all dread it, as do we. You have to take the Bottle out, refill it, & then put it back in. The problem lies with the last step, putting it back in. There is no way around it, juice will spill, sometimes on your fingers, sometimes on the Bottle, & sometimes back into the Device. It’s a real hassle to say the least. 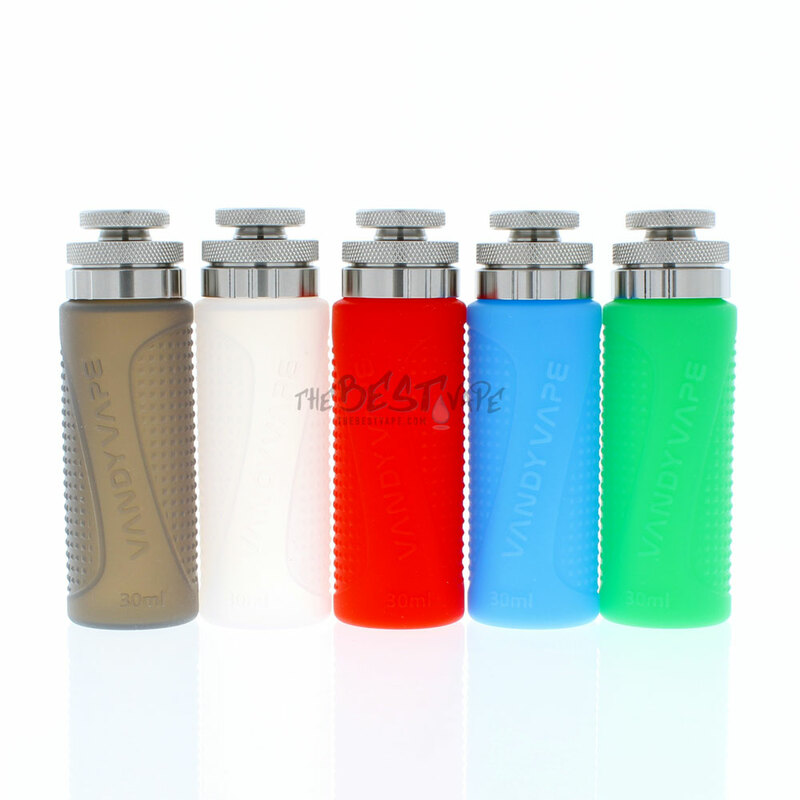 Well now a bunch of companies are coming out with Squonk 510 Refill Bottles that screw right into your 510 connection and allow you to refill your Bottle without actually taking it out. 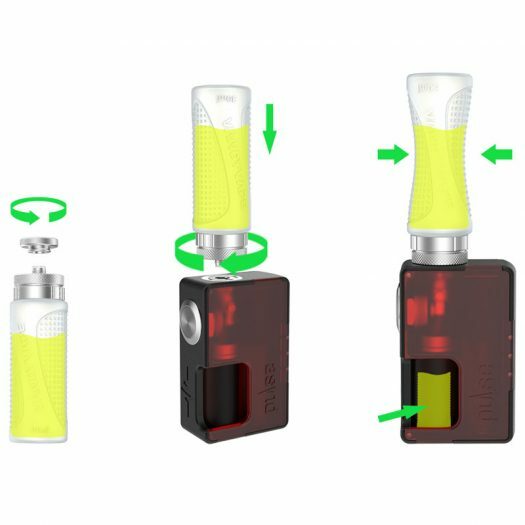 The way it works is you have to screw it into the 510, then you have to get the air out (squeeze it out) of the Squonk Bottle, & then squeeze the juice from the 510 Refill Bottle by Vandy Vape into the Squonk Bottle. It will not work if you leave the air in, you have to squeeze the air out for this process to work! These 30ml Refill Bottles by Vandy Vape will fly off the shelves, don’t miss out. 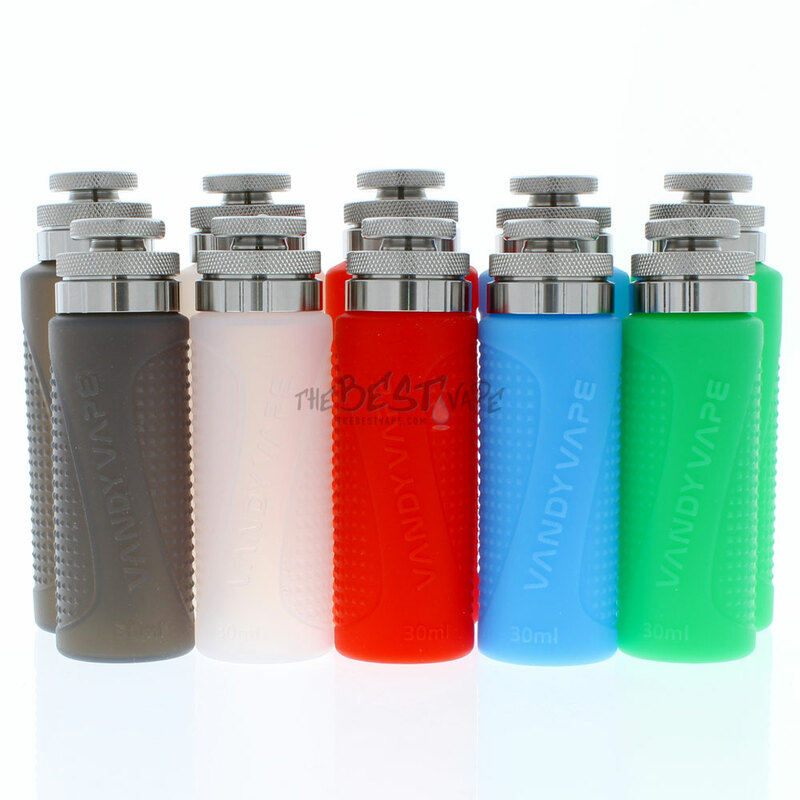 The 50ml Refill Bottles by Vandy Vape will sell out even sooner. Pre-Orders are open now. 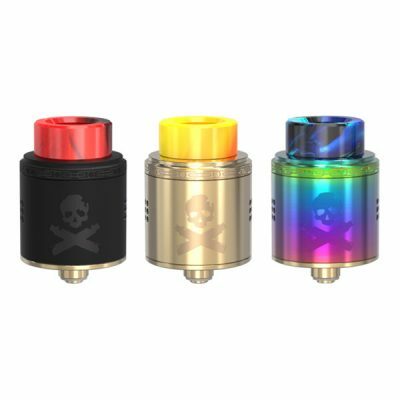 These Squonk Refill Bottles should be shipping from Vandy Vape around January 26th. The Best Vape has great Vandy Vape accessories selection and terrific customer service. This will make life so much easier. Dreaded filling my bottle because if I was rushing I would always get air trapped and juice would run everywhere. Need to get one or two more now. I got mine in red to match my Pulse Mech and I like red this is a great little refiller for on the road or at home easy to use (after I YTed on how to) then it was eazypezie looks and feels very durable and will prb last a long time, the machining on the top cap & 510 fill system is impeccable and heavy in weight. Overall experience with Best Vape is awesome fast delivery and great prices, I will definitely buy from this store again! 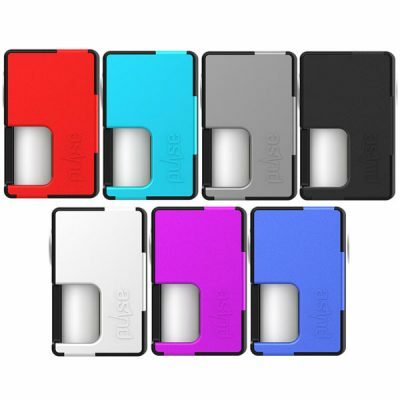 Awesome, easier way to refill the squonk bottle but, you need to use the right technique. 1. Remove the atty, 2. Screw the bottle into the devices 510 connection, 3. Turn the mod upside down and squeeze the squonk bottle 4. Turn the mod so the refill bottle is on top and give a squeeze so the squonk bottle starts to fill. Repeat until the squonk bottle it full of juice. I lost about 5 ml’s of juice because I was too stupid to watch Mike Vapes demo the correct procedure. Works as intended… brilliant idea!